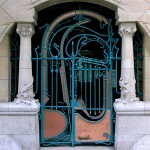 At the number 93 of rue de Crimée, between the distant horizon of Place des Fêtes towers and the working-class atmosphere of the 19th district of Paris, is an iron gate. After pushing it, a narrow climbing path, tables and chairs that seem to have been abandoned, and an old garage with a “LIBRAIRIE” sign barely visible. 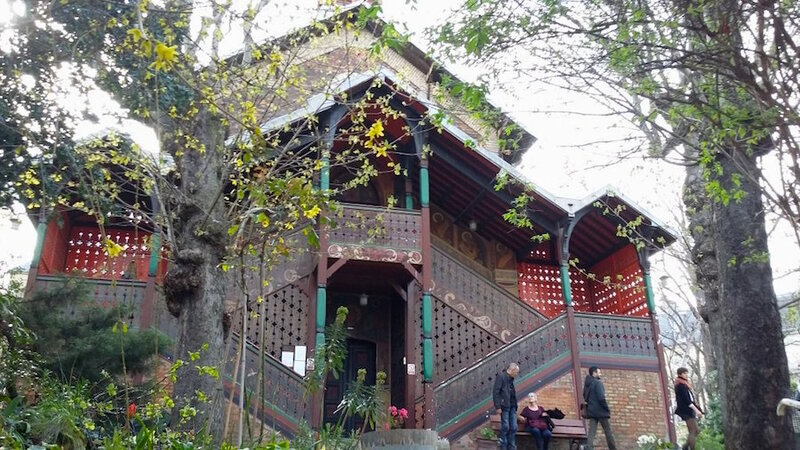 Welcome to a hidden treasure of Paris : Russian church Saint-Serge de Radonège. 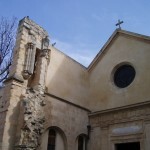 Originally German Lutheran church, the building was forfeited during the second world war then put up for sale by the French government. Meanwhile, Russian immigration in France increases rapidly following the 19717 revolution. Saint-Alexandre-Nevsky Cathedral, in the 17th district, built to give to Orthodox people a place of worship, is not enough to accommodate everybody. 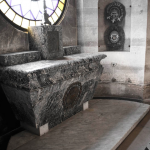 July the 18th 1924, Saint Serge de Radonège’s Day, the church located on a little hill nearby Buttes Chaumont Park is bought by the Ortodox clergy. 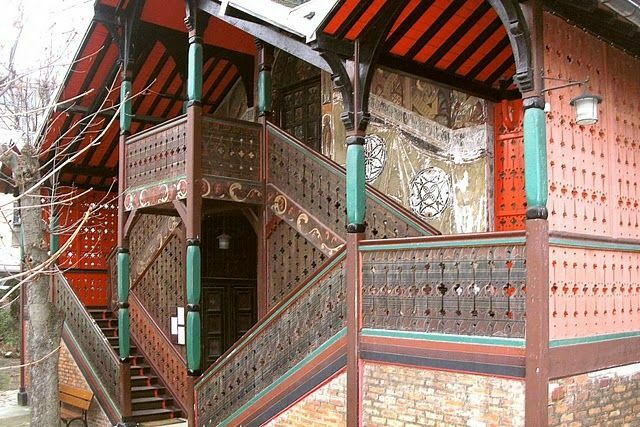 To visit the Church, the Sunday, ceremony day, is ideal if you want to discover Orthodox ritual. The other day, you will enjoy this peaceful and unusual place. 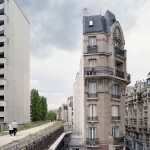 – la Mouzaïa, last “countryside” of Paris. 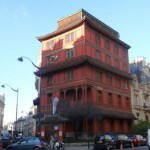 – La Butte Bergeyre. 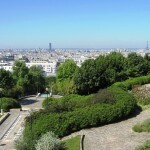 The most unknown – and unusual – mound of Paris.